Desiree is a professional dancer and aerial performer. Born in Norway Desiree completed her dance education in London and has developed her talents in all things movement and dance related to form a successful career as a circus performer and contemporary dancer touring throughout Europe, Asia and the United States. Desiree’s skills include trapeze, silks, abseiling, hoop, contortionism, martial arts and dancing among many more! 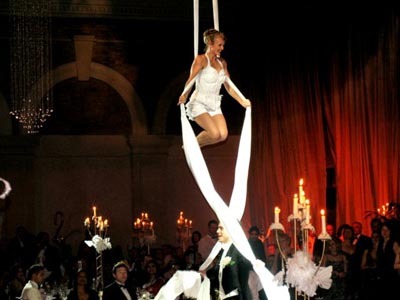 One of Desirees’ most popular acts is this original aerial and dance performance. 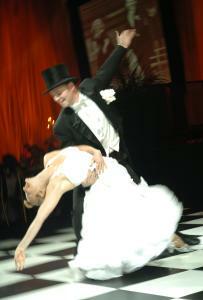 Top Hat and Tails is a ballroom dance and aerial silks routine based on the great Hollywood dance movies. It starts with the lone “Fred” doing a fabulous dance solo. He is reaching to the audience for a dance partner and by the 3rd dance his true “Ginger” appears!! Little does he know what is awaiting him!! 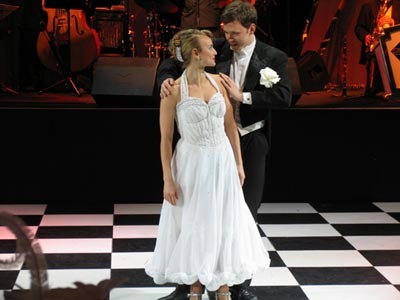 An act reminiscent of The Jazz Age with an added surprise at the end! The piece is around 10 to 12 minutes in length. 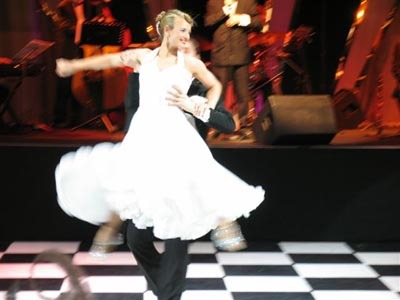 A tissu duet, cascading through the air. Poetic solo vignettes blended with smooth synchronicity are the key themes of this beautiful duet of grace, eloquence and inner strength. Can I just say how wonderful you looked at the Nissan event. It was so spectacular and beautiful!! The Client was beyond excited after the show. Desiree, You were amazing – thank you so much!!! I’ve seen a lot of silk acts and you were the most exciting. You are up there with the best… last year we had Elton John and Stomp.